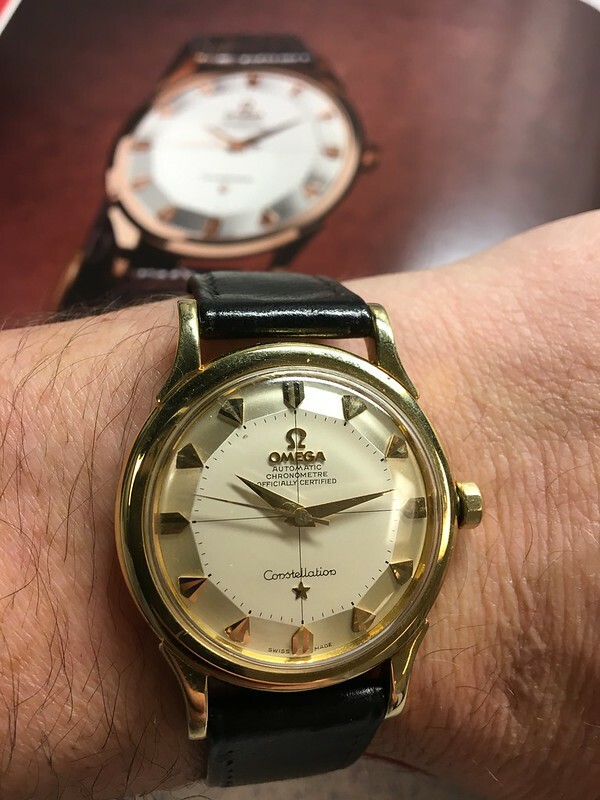 You or your oldest Omega? I am not a fan of gold watches but this is beautiful. I don't know about you but that watch looks to be incredible shape. I bet you never part with this beauty. took almost 2 years to find the right one but it was worth the time/effort imho. picked it up from an elderly gentleman in Ecuador. was told he was the original owner and only wore it on special occasions. paid top dollar for it back then (2004 i think) but have zero regrets. this is my only gold piece....and probably always will be. decided to go gold only because it was my birth year watch and wanted it to be "special" (at least in my mind).